Best Days: Sat: small waves on the Mid, though slow and inconsistent. 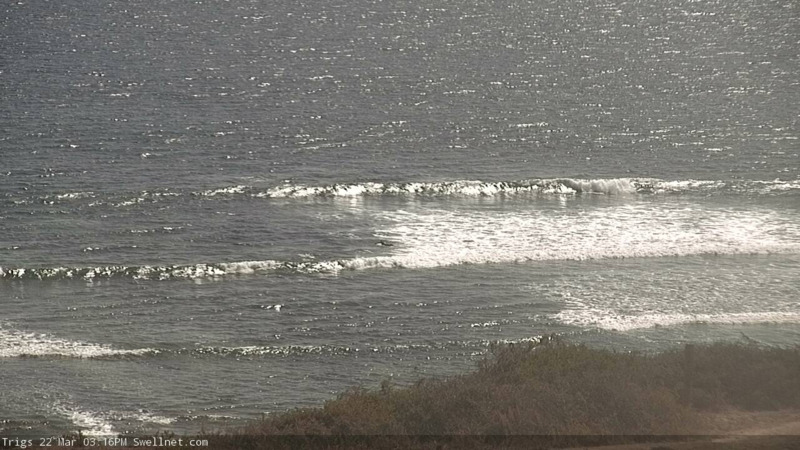 Sat/Sun: small clean waves at Victor. Mon: stormy on the Mid and metro beaches, easing Tues and improving. 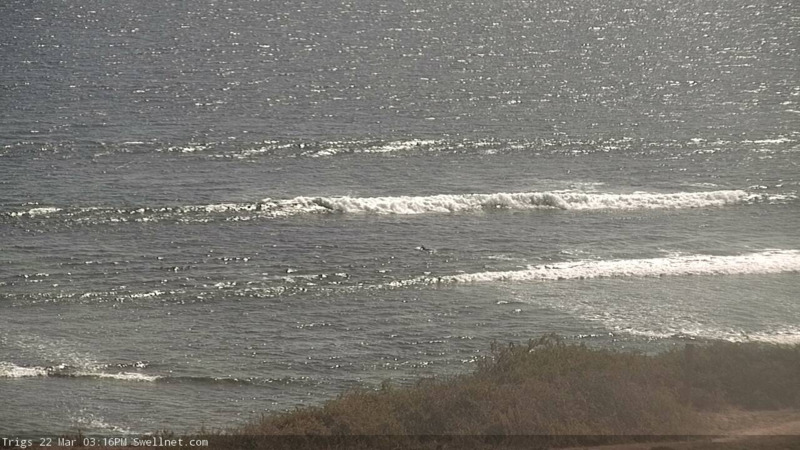 Wed/Thurs: small clean surf on the Mid. Fri/Sat: series of new swells for both coasts, biggest over the weekend. Recap: Thursday saw small leftovers with mainly onshore conditions down south and tiny clean conditions on the Mid Coast. Today started off lumpy and average at Victor, but a new swell has started to build across the Mid this afternoon and we’re now seeing very infrequent 2ft sets across the reefs, though moderate sea breezes are creating bumpy conditions, and the sets are a long time between waves. We haven't reached the peak of this event either, so a little more size is possible through the late afternoon and into the evening. 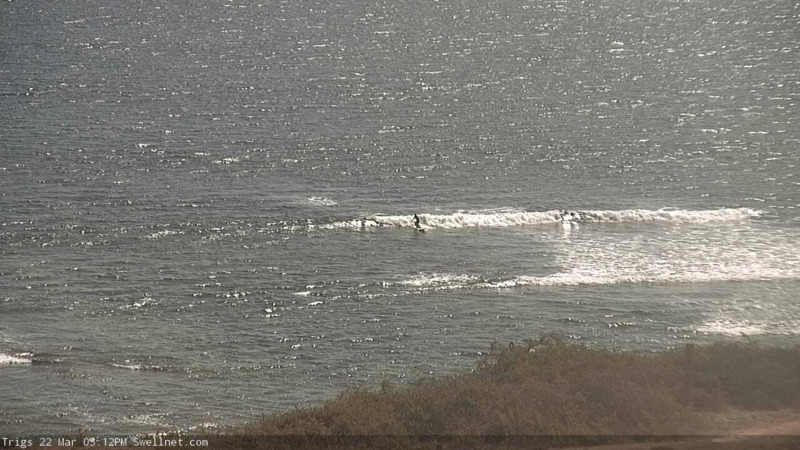 The W/SW swell direction is maintaining small surf at Middleton though conditions are OK with light onshore winds. The Mid Coast may see inconsistent 2ft sets on the more favourable parts of the tide, but it’ll become smaller throughout the day and further into Sunday morning. Expect very long breaks between the bigger sets. At Victor, the W/SW swell direction will maintain small surf across the Middleton stretch around 2ft+ with bigger surf at Waits and Goolwa. Expect a similar trend as per the Mid Coast (easing slowly). A weak trough will cross the region over the weekend, resulting in light to moderate W/NW winds on Saturday that’ll clean up conditions at Victor, but provide a few ruffles on the surface across the Mid Coast (no major issues though). Light N’ly winds are expected Sunday morning but approaching fronts will strengthen NW tending W/NW winds at some point on Sunday afternoon. These winds are likely to reach strength too late to generate any useful windswell for the Mid or metro beaches. A series of fronts pushing through the Bight right now (preceding a more significant low pressure system over the weekend) will also generate some small to moderate new SW swell but it’s not likely to arrive until very late Sunday. It’ll be worth keeping an eye on the Mid Coast’s surfcams for a possible afternoon kick (hopefully before the wind picks up from the NW too), but at this stage Monday is expected to see the bulk swell increase (from multiple sources). Monday morning will see westerly gales and typical stormy conditions, with low quality 3-5ft surf across the Mid Coast and small choppy waves along the metro beaches. With the low pressure system sitting west of Tasmania (with likely core winds of 50kts+ within Victor's swell window, see below), we’ll also see a very large increase in stormy surf across the South Coast up to 8ft+ at exposed locations. Wave heights may be a little undersized early because of the initial W’ly component in the swell direction. Fresh, easing S’ly winds on Wednesday will accompany a steady abating trend from 6-8ft to 4-6ft at Victor, with the Mid Coast easing from 3-4ft to 2-3ft. There’s a chance for an early S/SE breeze on the Mid but it’ll likely retain some wobbles from Monday’s winds; lumpy surf is probably an optimistic outlook. But it'll be well worth a paddle. Looking further ahead, and steadily easing conditions on Wednesday and early Thursday with mainly light winds will precede a moderate bump in new WSW swell on Friday, from a modest series of fronts well SW of WA earlier in the week. This should kick up 2ft+ surf on the Mid Coast and 3-4ft+ surf at Middleton. In fact, a stronger frontal progression much closer to Victorian longitudes on Thursday (below the continent) will generate a bigger, better groundswell for next weekend, that could push the Mid Coast into the 2-3ft range with 5-6ft surf down south. But more on that in Monday’s update. So where is this week's forecast?